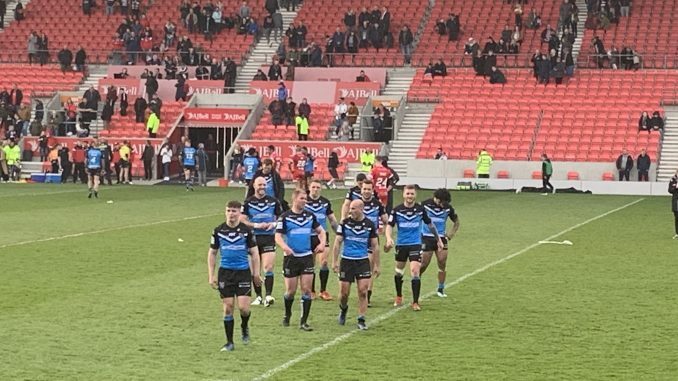 Back to winning ways then, as Hull FC took the first step in redeeming themselves from the Warrington debacle with a 23-16 away victory at Salford. It wasn’t easy, but it’s job done with two welcome points pushing the Airlie Birds up to fifth on the league table. It was at times tough, and Hull had to dig deep especially in defence, but the relief at full-time was notable. Another win on the road then and still undefeated outside of Hull this season, with a boisterous away backing on a mild spring Sunday afternoon. Maybe there’s something in Lee Radford’s comments, not that it will appease those who fork out hundreds of pounds for their memberships, and probably rightly so. The reality of 2019 so far is that Hull have performed better on their travels than at home. That’s down to a number of factors – the soulless stadium itself, moving of home fans from familiar areas, the Allams, quality of opposition etc, but whilst such comments angered many pre-match, there’s a realisation that away games this year are delivering, partially due to no Friday night M62 traffic and Sunday afternoon kick offs that are more appealing to the average fan, who can relax, have a beer and not worry about missing kick off. This was one of those occasions and the away following reflected that – over 1,000 travelled again, with another win to enjoy. Hull, hindered by injuries, with no fewer than eleven players missing, had no option but to hand a debut out to teenage fullback Connor Wynne. He didn’t disappoint either. The young man was solid. He caught every high bomb, returned the ball well, marshalled his defence and came up with a try assist too. Elsewhere the match belonged to Josh Griffin with a hat-trick of tries. The centre, definitely the better of the Griffin brothers, provided enough quality to see Hull home – his first try, which put Hull in the lead, was a great line, his second was architected by Wynne himself and another influential figure in Marc Sneyd, whilst his third was a put down off a kick to the corner. Besides the try-scoring though, it’s the work out the backfield that makes Griffin such a dangerous player. He makes more metres than time Hull players spend in the physio room and is always a threat. He might have told some DNGC’s at the ladies night that Hull is a ‘shithole’ but as long as he performs like that he can say what he wants. We like him here at UTC. Before his injury at the Magic Weekend last year he was our best player of the year. He came back early and played busted, and has now returned to form. There’s a bloke there that deserves more credit that he gets. As far as game management goes look no further than Marc Sneyd, who got us around the field again despite hobbling about on one leg. Every time he goes down you have to change your undies. That left knee is delicate now. It’s a concern for sure. But his influence on this Hull team is still apparent. 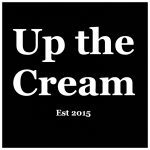 Sneyd is a great player – without him we don’t win. It’s as simple as that. Sneyd, with his kicking boots on, kept the scoreboard ticking. His penalty goals at 10-6 were the difference in the first half and he kept the scoreboard ticking when Salford came back. He made sure Hull were always comfortable. His general play kicking was effective, there’s just that worry on how his knee can cope with the physical demands of this sport. One player who got some criticism last week, Mark Minichiello, was excellent at Salford. He ran strongly all game and defended well. The same can be said of Andre Savelio. He put himself about defensively but buckled his knee towards the end of the game. Only scans will determine the severity of it but everyone had their head in their hands as he hobbled off. Scott Taylor too didn’t return for a second stint due to a calf problem, and when you take it all into consideration to tough it out and get the win is pretty commendable. Winning ugly is a pretty good habit. It wasn’t the most flamboyant or entertaining game of Super League we’ll ever see but when you get two points who cares. Hull got the job done. They were put under pressure, but they dealt with it and you have to applaud that. Hull got off to a great start thanks to Griffin’s early try, and whilst Salford threatened, a half time lead was never in doubt. Griffin completed his hat-trick soon after the break, and from then on the away side saw it out. Salford, who had their moments through Josh Jones, Niall Evalds and Jackson Hastings, have now suffered four consecutive defeats. Their home form, like Hull’s, is a cause for concern. In Hastings they have a quality scrum half who always threatened, but luckily Hull were on point defensively for the large majority. It wasn’t perfect and Albert Kelly for one had an off day, as did Joe Westerman who actually played with a pain killing injection. He’s doing it tough right now as are a few others. The injury thing is a ball ache and all the more perplexing given the relatively stress free years we had in 2016 and 2017. Maybe it is to do with luck? Or have training methods changed? Or is they simply more wrestling in the tackle these days? It’s weird none the less and concerning when we’re talking about players playing busted in April, but then again we’ve been feeling the repercussions of last season since Round One. To end on a positive note though this was a good and much-needed win. We’ve maintained all year that we need to judge this Hull FC team when they’re at full tilt and when that happens we’ll be a play-off team. We’re fifth as we speak. Things could be a lot worse and we still believe they’ll get better. Let’s stick it out and do our bit at Catalans next week. Come on you Ull. Salford Starting XIII: 1. Niall Evalds, 22. Derrell Olpherts, 28. Krisnan Inu, 5. Jake Bibby, 2. Ed Chamberlain, 6. Robert Lui, 31. Jackson Hastings, 15. Adam Walker, 14. Joey Lussick, 10. Gil Dodson, 11. Josh Jones, 12. Daryl Griffin, 13. Mark Flanagan. Interchange: 16. Greg Burke, 3. Kris Welham, 18. Ben Nukubuwai, 24. Jansin Turgut. Hull Starting XIII: 36. Connor Wynne, 24. Jack Logan, 3. Carlos Tuimavave, 4. Josh Griffin, 2. Bureta Faraimo, 6. Albert Kelly, 7. Marc Sneyd, 8. Scott Taylor, 9. Danny Houghton, 21. Sika Manu, 12. Mark Minichiello, 13. Joe Westerman. Interchange: 34. Gareth Ellis, 35. Andre Savelio, 22. Jordan Lane, 30. Danny Washbrook. Hull 3-2-1 Man of the Match: 3pts Josh Griffin, 2pts Marc Sneyd, 1pt Mark Minichiello. Good, tough and much needed win and response at Salford but some FC players need to hit their straps more consistently as we are almost a third into the season now. I don’t think that Radders is right to blame the FC fans or stadium for abject performances as they are supposed to be professionals ! I don’t think that the fans at home apart from the Leeds performance, have had much to cheer or enthuse about. That isn’t the stadium, that is the team’s performance, or lack of it. So no excuses Radders or players. They need to perform consistently well and not be in and out.